Hello Bryan here and welcome to my website! I am a Printmaker and Graphic artist. I enjoy traveling and being outdoors. Mountain Bird Studios is a reflection of my passion for sharing my love of travel and nature to you! Here you can find my online shop as well as browse through my portfolio and contact me through the tab. I write blog posts usually about once a month They range from basic studio updates, sharing my travel experiences, talking about a project I’ve worked on, sharing life experience, and of course talking about art! Hello, friends and welcome back! I hope wherever you are, you are enjoying spring! It has been a cooler spring here in Texas which is always nice! I have been busy getting ready for new shows coming up in May and June. With that, I have been making new prints and building up my portfolio. I also wanted to give a special highlight to a print series I started at the being of the year focusing on animals in their natural habitat. In my last blog post, I talked about how my evolution of photography lead me to take a closer look at the environments I visit. I started researching different animals that lived around me, then as I became more fascinated with the different creatures it grew. I began retracing my steps to the places I have been and am going. One of the biggest reasons I started this series is to bring awareness to the people I meet about the fragile ecosystems these animals are living in and to bring more conservation to help keep the animals we love safe in their homes. I have done six prints so far and with each one I learn a little more about the environment that these animals live in. Top left: Tricolored Heron, Cottontail Rabbit, Red Fox, White Tail Deer, Road Runner, and Eastern Screech Owl. Ansel Adams- The Tetons and the Snake River. Today I wanted to share with you some of my photography and talk about a photographer who influenced me in photography but also my philosophy on making art. I really didn’t discover Ansel Adams until the early spring of 2015 in my American art history class at Western. I knew who he was and what type of photography he did and it was an inspiration of mine. I really learned more about him and his philosophy when I wrote a research paper on him for class. I read his books, learned his process, his biography, and from there he became one of my biggest inspirations, carrying over into my printmaking. A background on my history with photography until 2015. I have always been interested in photography. I always had a disposable camera with me when I was little on vacations. I would conserve those 24 photos stingily, waiting to find the picturesque spot to capture. I was always interested in photography but never saw it as any more than a hobby or a tool to capture memories on vacation. Late in high school, I got a nice digital camera and from there I started learning about how the camera worked and different modes to help capture a particular scene. I didn’t have enough money to buy a DSLR camera so I ended up using my mom’s old 35mm camera. She had two lenses for it and basically acted as a DSLR except for the whole film part. In the long run, it made me a better photographer learning how to meter and make good exposures and I was still limited to a certain amount of photos. I took this camera on several trips and I became influenced by very modern photography. I would do double exposures, and I would take the scans of my photos and combine them into one composition in photoshop. I liked the idea of using this old technique to produce something very manipulated. One photograph I did admit me into two gallery shows! In 2013 I got my first DSLR camera a Canon t3i Rebel. I was so excited to use it! I took a lot of great photographs and that summer I went on a month-long vacation to Colorado up to Wyoming. 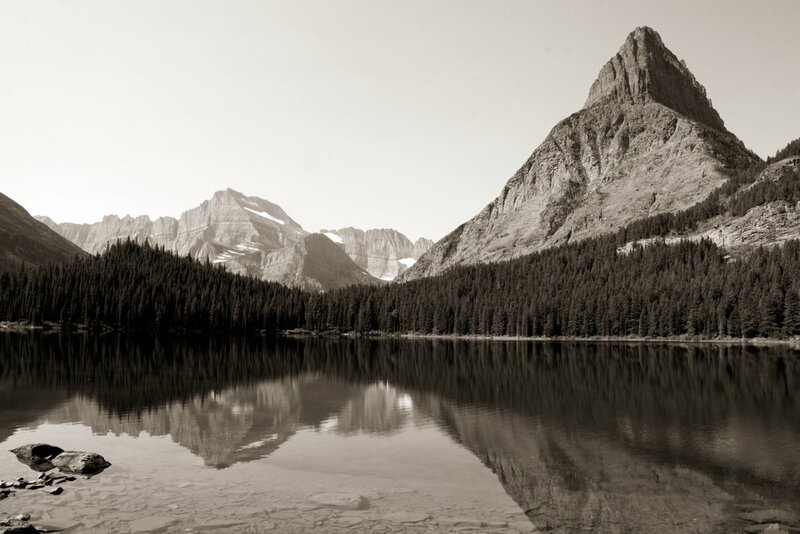 This is when my inspiration for Ansel Adams really started. I was traveling through the American West with its grand landscapes and breathtaking views just like Adams. After I took my first photography class in college I knew I wanted to be a landscape photographer. The next semester I learned more about the impact and power photography can have. I did several projects on the impact of the local environment where I lived. I was still trying to find my style by experimenting with traditional black and white, surrealism, and somewhere in between. I transferred to Western and took my third photography class. I learned more about photography and grew as a photographer but I was still searching my style, floating between traditional and surreal with multiple exposures. It was then that I learned more about Ansel Adams in depth. Ansel Adams (1902-1984) a great American artist whose vivid American West photographs breached the American culture and was embraced by the public for his extraordinary captured moments. In 1916 Adams and his family went to Yosemite for a summer vacation, when they reached the valley he stood in awe. Adams would recall that day as a defining moment as when he made a deep inner connection to what he saw. A few years later Adams took a job at a lodge in Yosemite. There Adams found and adopted in the ideals of the Sierra Club, which was founded by John Muir in 1901. The Sierra Club is an Organization founded for environmental conservation originally in the Yosemite Valley and then expanding to across the United States. It was here that Adams first began his career as a photographer. Throughout the 1920s Adams forged his career as a photographer while working at Yosemite. In 1934 Adams became a member of the board of the Sierra Club. During this time the club sought to establish the Kings River region south of the Sierra as a National Park. The club asked Adams to lobby in Washington with his photographs. In 1938 Adams sent a copy of his recently published book, The Sierra Nevada and the John Muir Trail, to the Secretary of the Interior, Harold Ickes. Ickes was so impressed that he showed it to President Roosevelt, who asked to keep it. After that Roosevelt and Ickes worked to pass the bill which had been stalled in Congress and in 1940 the park was created. This photographic lobbying began a newfound spirit and purpose in his love of the wilderness. In the coming years, he would increase his use photographs in the efforts to conservation. He saw this as an opportunity to use his photographs to not only address the bureaucrats in Washington but also the American public. To protect the irreplaceable landscape the public must be aware of what was at stake and understand why wilderness mattered. Adams as the photographer could put himself in this vital role of raising awareness to the conservation. The public was immensely drawn to the stunningly captured scenes of the wilderness as both places of beauty and a symbol of national identity. 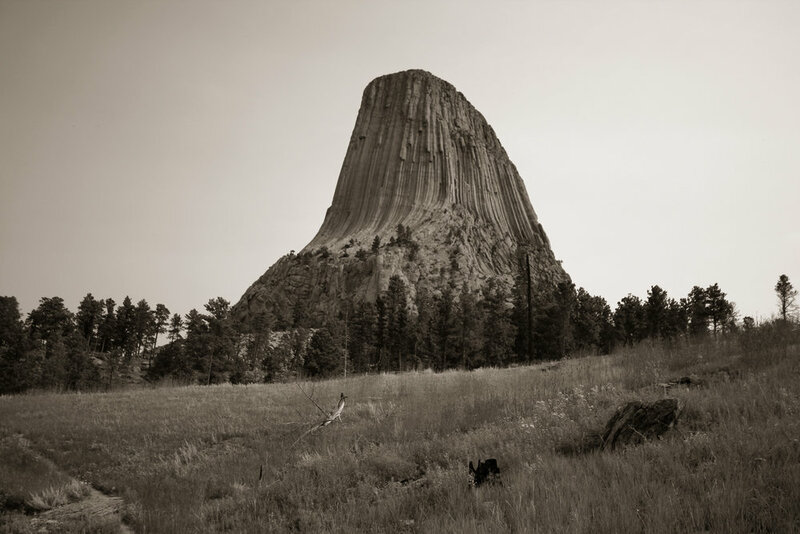 There is something that draws us into nature and resonates within us and Adams knew how to capture that moment and bring it to the public with his photographs. He believed in the healing power of nature which remained constant throughout his life and was dedicated to bringing that power for everyone to see. I was really taken with how Adams used his photographs as an act of lobbying. It really changed my way of thinking about photography. From there I sought to use my photography as an act of conservation, capturing a moment of time in landscape that needed to be preserved. That summer I took a backpacking trip to the Windriver Range in Wyoming. In my photography class that fall I sought to emulate my inspiration and agenda of preservation of the wild. While editing my photos, I made my own custom duotone to display all of my photographs. It is a very slight sepia tone, or a warm black and white. The warmth in the photographs better evokes memories. This plays an important role as I want to transport the viewer into the landscape or have them feel like they were there in a distant memory or dream. I Compiled my photos in a book. I thought this gave a more personal connection to the viewer was a better way to display a collection of photographs rather than having big prints on a wall. The book seemed to communicate the power of the preservation. I continued on this path for a few years. I made another book which I shared on one of my first blog posts on my trip to Glacier National Park (Post here). I still use this technique to capture photographs. So that brings me to today and looking forward to my photography. As I said I still use the similar way of capturing and editing my photographs. I still plan on continuing and developing the story and bookmaking process further. However, the end of 2017 to the beginning of 2018 I took a critical look at my artwork in general and I realized I was really focused on the grandeur of the landscape. Rather than I want to do something more than just capture this birds-eye view of the place. I want to take a closer look. How many little things were in this one landscape, how many plants, or animals? This leads me wanting to learn the landscape more and I began focusing on the flora and fauna that inhabit each of these landscapes. To sum up, my photography before was a summary of the place but I wanted to know the whole story (for more photography on this check out this blog post). This began my new series of prints where I started drawing animals and plants that inhabited Texas ecosystems and beyond. So now when I am out photographing I force myself to look closer at the place I’m in and see what makes this landscape a landscape . My photography right now is used more for reference for my printmaking. 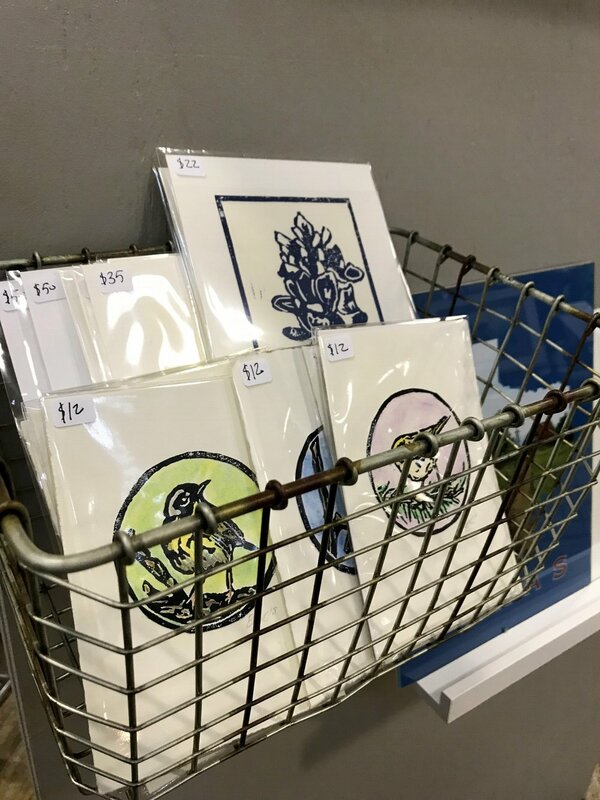 Creating a body of prints that helps brings awareness and preservation to the animals and natural habitat I enjoy so much has been a wonderful experience. Just as Ansel Adams used his photographs to lobby for environmental protection I am using my artwork to bring preservation and awareness to the people and that is what I believe God has placed me on this Earth to do. The two books I made along with my most prized Ansel Adams books. From left to right; The Grandeur of Wyoming, Ansel Adams Yosemite and the Range of Light, The Creation of the Landscape. Thank you so much for reading! This has been one of my favorite posts to share. Feel free to share this with your friends and help spread the word about Mountain Bird Studios. I will be updating my shop and Etsy within the next week so be sure to check that out! My next post will be another studio update with a closer look at the animal prints I mentioned in this post. Adams, Ansel. Examples: The Making of 40 Photograph. Boston: Little, Brown, 1983. Print. Peeler, David P. "The Art Of Disengagement: Edward Weston And Ansel Adams." Jour- nal of American Studies 27.3 (1993): 334. Print. Spaulding, Jonathan. Ansel Adams And the American Landscape a Biography. Los Ange- les: U of California, 1995. Print. Spaulding, Jonathan. 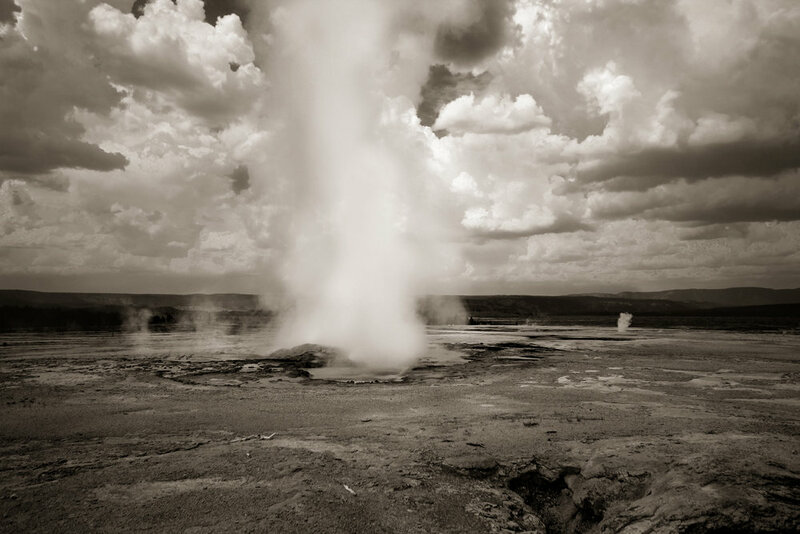 "The Natural Seen in the Social Good: The Artist Education of Ansel Adams." Pacific Historical Review 60.1 (1991): 15-42. JSTOR. Web. 2 Feb. 2015. <http:// www.jstor.org/stable/3640417>. Spaulding, Jonathan. "Yosemite and Ansel Adams: Art, Commerce, and Western Tourism." Pacific Historical Review 65.4 (1996): 615-39. JSTOE. Web. 2 Feb. 2015. <http:// www.jstor.org/stable/3640298>. Hello, everyone, it has been a busy few weeks but I made it through my first art show! I attended the 10th annual Funky Finds Spring Fling this past weekend in Ft. Worth, TX. I meet a lot of kind faces and took a step closer to my goal. Thank you to everyone who came out and supported me and a big thanks to my ma and pa for helping me along the way! This has been a long dream come true and I’m looking ever forward. 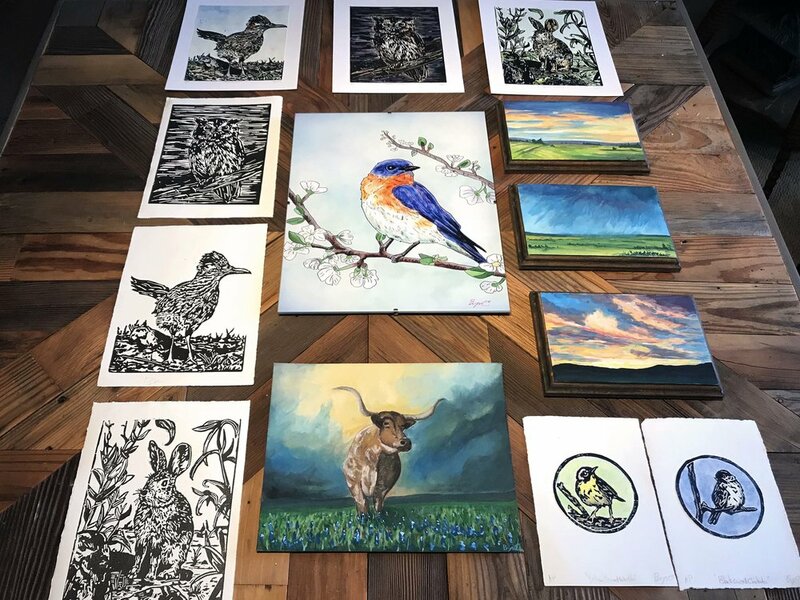 Four months ago after completing a video series, researching, and learning how to take your first steps in becoming a working artist I set myself a goal to participate in an art show. From there I set myself other goals and tasks to make it a reality. 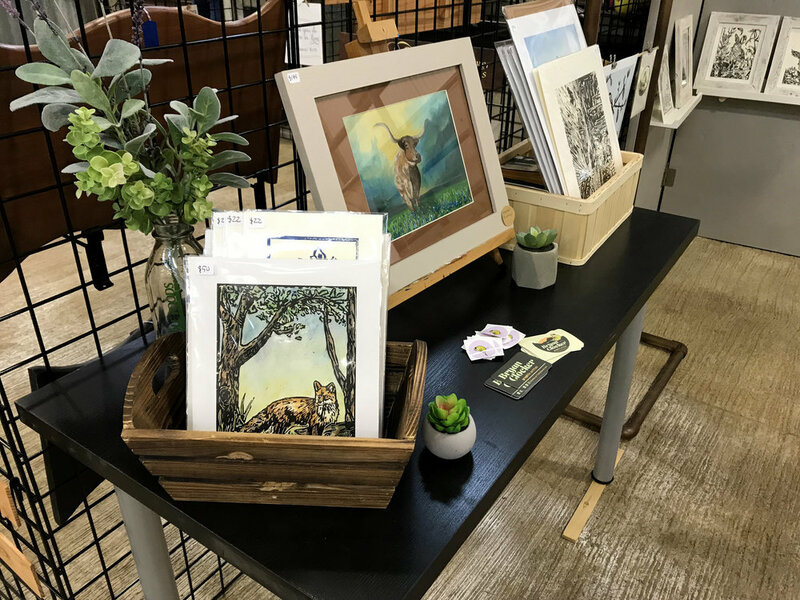 I built up a collection of work to sell, opened my online shop, found and applied to art shows, designed and built my booth space, made frames, and countless little things all leading me to last weekend. The night before I was going to sleep. I was trying to empty my mind from all thoughts, but my thoughts started swarming. My fears and doubts about the show, the void of all the unknowns, my lack of experience in shows, working, about success, and failing. All it was running through my head. I’m sure most of us have felt this way about something many times throughout our lives. Maybe it was one of your dreams or a big job interview or waiting on an acceptance letter for that school. We all have fears and doubts in our lives, but its how we handle and deal with those fears and changing our outlook on failing that matters. When all those thoughts came rushing through my mind I stopped and told myself whatever happened with the show I would be proud of myself. I am proud of the artwork I produced. I followed my dream of being an artist and I would take the experiences I learned and continue on to my next show. For me, failure is not doing badly at an art show or not selling any art. For me failing is giving up on being an artist or being too afraid of the “what if’s” and not trying. Whatever profits I gained or lost following my dream is all a success because I was brave enough to pursue it. I feel that we as a society have the wrong idea of failure. We tie so much on material things. You are only successful if you make a lot of money. Or if you have a million Instagram followers. You are a failure because your business idea didn’t work, or you didn’t become a famous singer. There is so much more to this life than riches and fame. All of us has successes in our lives, it is not one thing. Maybe your success is training and running that 5k in your neighborhood, your warm family to come to each night, or maybe you stuck to your new diet for a month. Failing to me is being too afraid to try and once you believe in yourself and try, you have already won! So do you have a dream or goal? I encourage you to pursue it! Be brave believe in yourself and take that first step and remember whatever the outcome is you can look back and say “I tried” and isn’t that worth celebrating? It is for me. Funky Finds was a success through and through I had a wonderful time and I’m looking forward to my next show. I’m also looking to keep expanding and finding more shows outside Texas for the summer. I’m hoping to get to go back to Colorado soon and I’ve been wanting to go Eastbound for several years now. I have added some more prints to the shop you can check out and I am also excited to be working on my next blog post about Ansel Adams and my photography! As always thank you all for reading! You can sign up for emails and follow me on Instagram below. With the new year underway, I have been busy producing a lot of work! 5 linoluem prints, 4 gouache paintings, and 1 digital illustration. I wanted to make a quick post showing the finished works so far. Starting in March I will be traveling around Texas going to art fairs selling my work. I am very excited to take this step as an artist and continue growing and becoming a professional artist. If you are near one of the events I would love it if you come say hello! All writings, photographs, posters, prints and any other pieces of art are produced by Bryan Clocker and should not be copied or taken without permission.